Earn $6.88 in Rewards credit (688 points) What's This? 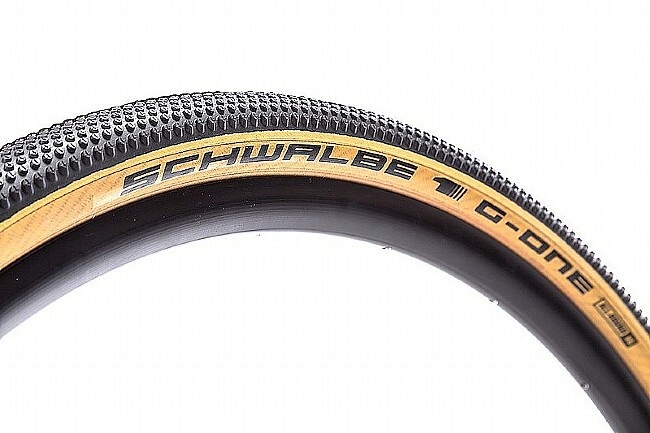 Unless you're looking to get stranded in the middle of the nowhere, it'd be a wise choice to pay attention to how the larger volume and added grip come together in the Schwalbe G-One Gravel Tire to get you through the gravel trouble-free. Low profile knobs and 35+ mm width options practically turn your adventure bike into a rock-cheating cloud, and pinch flats on the rough stuff are virtually a thing of the past thanks to Schwalbe's MicroSkintech found in the G-One's casing. It's made of a high-tensile micro fabric that's vulcanized into the carcass for an airtight seal, even at higher pressures, and it also has the benefit of adding more cut resistance all around while decreasing weight. 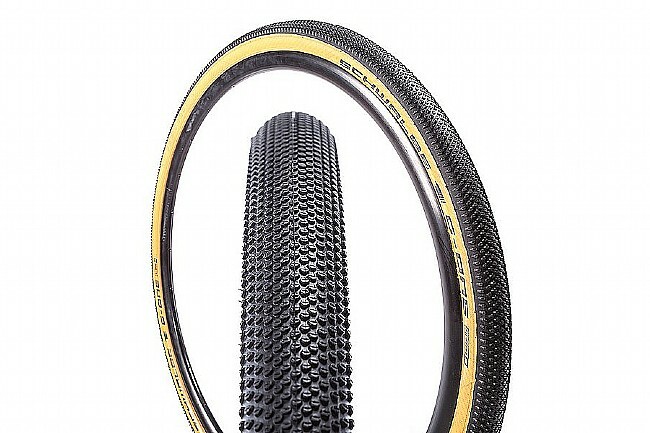 Combine this with Schwalbe's OneStar triple-compound rubber, and you'll be carving corners and flying into loose gravel sections without a worry in the world. Now available in a Limited Edition Skinwall. 4 of 31 customers found this review helpful.